An investigation has found the conduct of a late churchman alleged to have been involved in extra-marital affairs was “seriously inconsistent with that expected of a Christian minister”. 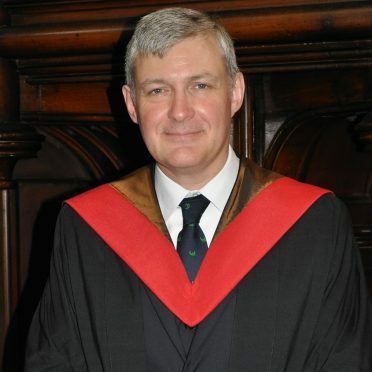 The Rev Iain D Campbell of Lewis died in January this year. Soon afterwards allegations began to emerge about his personal life and an investigation was launched by the Free Church of Scotland. It was reported that the 53-year-old’s widow put a number of claims before the church about extra-marital affairs. The Rev James Maciver of Stornoway Free Church led the investigation and yesterday confirmed it had been brought to a close. He said: “The Presbytery has now sadly concluded that elements of Dr Campbell’s moral conduct were contrary to, and censurable by, the Word of God (Bible), and seriously inconsistent with that expected of a Christian minister. “Following the investigation, each local Kirk Session has carried out appropriate disciplinary action, according to guidelines laid down in the practice of the Free Church of Scotland. Mr Campbell was a former moderator of the Free Church and his final appointment was at Point Free Church on his native Lewis. Stornoway ground to a halt for Mr Campbell’s funeral in February, with thousands of mourners paying their respects before the allegations emerged. Mr Maciver added: “The Presbytery will continue to consider how to bring this sad episode to a conclusion and what we may learn from it. “The last few weeks have been a deeply distressing time for all concerned. The Presbytery would appeal to everyone within the Free Church of Scotland for unity and prayerfulness. “The Presbytery wishes to particularly remember Iain’s wife, Anne, and the rest of the family.